A unique breed of arts enthusiasts have found a gallery in downtown Golden, at the Rocky Mountain Quilt Museum. 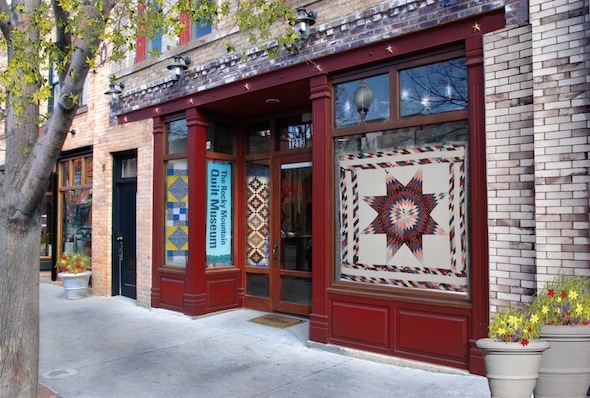 The museum was the dream of 80-year-old quilter and collector Eugenia Mitchell, who shared her dream with like-minded enthusiasts and collected money for years to build a place to showcase the beauty of quilts. The museum opened in 1990 with 100 of Eugenia’s quilts as the core of a collection that ranges from practical bedclothes of the 1800s to modern works of art. Exhibits rotate in and out, and the museum offers lectures and demonstrations.